“What’s missing?” would like to provide a platform for museum practitioners and theoreticians, fostering exchange about identifying, challenging and including blank spots in the practices of museums who strive for a reflexive and critical “Europeanisation”. Europäischer Kulturen e.V. 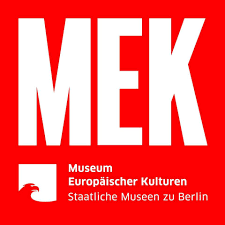 (Association of Friends and Sponsors of the MEK) and Stiftung Preußischer Kulturbesitz.